In Chicago, IL, the top 3% real estate agents buy and sell homes 95.8% faster than their competitors. HomeLight compares real estate agents in Chicago using their objective sales data to identify the top performing agents. As first-time home buyers, we had no idea where to start. We wanted to make sure we selected a Realtor that fit our exact needs. Homelight matched us with a genuine, honest real estate agent. Top real estate agents in Chicago, IL have 393.06 more transactions than average agents in the city and they tend move homes off the market in 64 days. The average Chicago real estate agent only moves 59 homes, and each of those stay on the market an average of 125 days. See how top Chicago agents compare on other metrics. Top sellers agents in Chicago sell 60.99 days faster than the average agent, make sellers 8.4% more on the sales, and move 1.8x more properties. In Chicago, top buyers agents help home buyers save $54,948 on a home. The top agents, on average, place 1.8x the number of transactions as average agents in Chicago. HomeLight followed up to ensure I had found an agent I liked & offered additional help if needed. Advisors on the phone were very polite and helpful. HomeLight found a number of Realtors and provided a baseline for me to compare them. We were in a bit of a time crunch to sell and HomeLight made finding a local agent quick and easy. When is the right time to hire a real estate agent in Chicago? It's going to depend on the temperature of the Chicago housing market but we generally recommend that you hire a real estate agent as soon as you're thinking of selling your home. Generally speaking, that's anywhere from 3 to 6 months prior to your desired move date. How important is it to hire a top real estate agent in Chicago? On average, the top performing 5% of seller's agents generally command a higher selling price (+9%) than the average real estate agent. The top performing 5% of buyer's agents generally save their clients 2.5% more than the average real estate agent at closing. So, whether you're buying or selling your house, your odds of making more money on the transaction are higher if you work with a top performing agent. 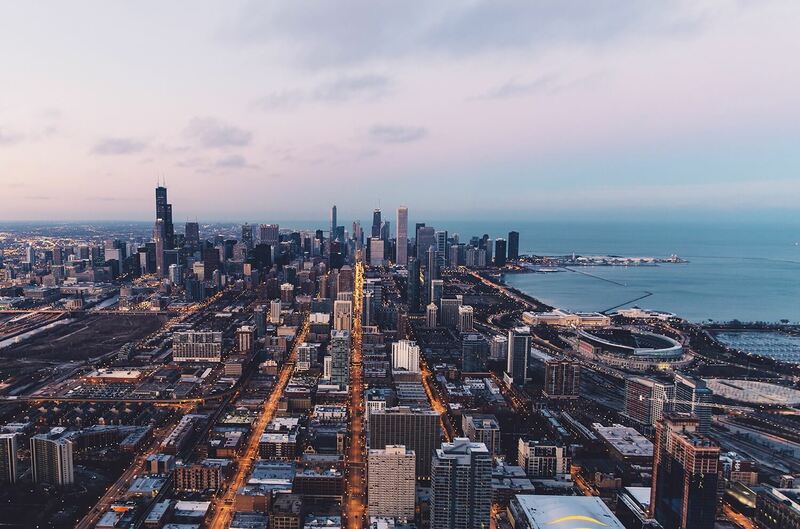 We encourage you to explore all of your options if you're selling a house in Chicago, IL. Why do I need to hire a licensed real estate agent in Chicago? What is the average real estate agent commission for agents in Chicago? While individual real estate agent commissions do vary, most real estate agents in Chicago work for 6% of the home price. How do I find a real estate agent that specializes in a specific Chicago neighborhood? What are the most important questions to ask when interviewing Chicago neighborhood? We've put together a list of 24 questions to ask your real estate agent. Make sure to ask them of your Chicago real estate agent during interviews. Why should I use HomeLight to find a Chicago real estate agent? HomeLight analyzes all real estate agents in Chicago to bring you custom, unbiased, data-driven recommendations. We use actual home sales transaction data to compare Chicago real estate agents and will only introduce you to the top performing agents. Do these Chicago real estate agents work for HomeLight? What factors does HomeLight consider when evaluating real estate agents in Chicago?